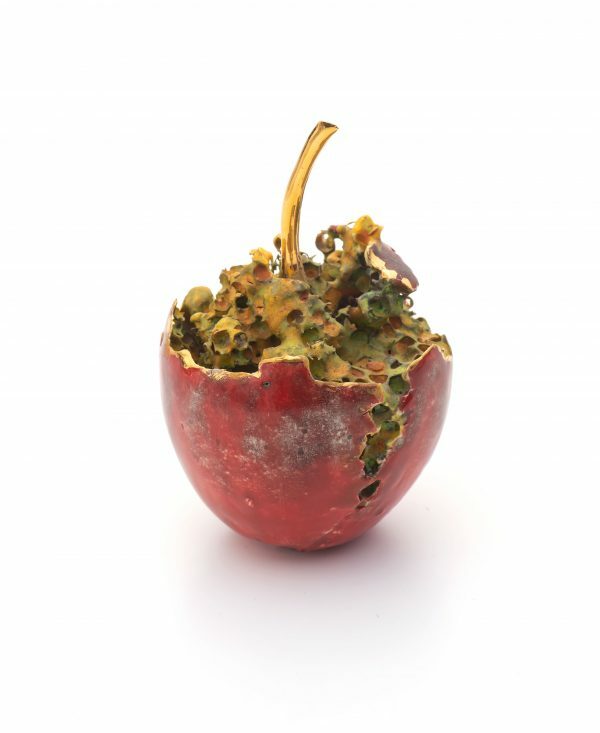 Decorative pieces influenced by fruits, decay and Victorian miniatures. The sculptural objects are hand built and slip cast. Each piece is multi-fired and multi-layered with glazes, decals & lustres.